A completely new technology of face lifting and wrinkle treatment which is conducted with the clients own blood sample. First, a blood sample is placed into a centrifuge, the separated plasma is put into syringes which are heated under sterile conditions in a water bath. A shock-like cooling down in ice water transforms the plasma finally into a viscous gel. This gel can be used to augment very fine lines and wrinkles as well as larger areas of the facial skin that are desired to be smoothened. After a couple of months the plasma gel is naturally and completely absorbed in the treated area. Nevertheless, the treatment can be repeated every four to six months. To create PRP, a small sample of your blood is drawn (similar to a lab test sample) and placed in a centrifuge that spins the blood at high speeds, separating the platelets from the other components. The process is handled manually by a lab technician, producing higher concentrations of platelets and a much more pure concentration of the beneficial blood components. The separated plasma is put into syringes which are heated under sterile conditions in a water bath. A shock-like cooling down in ice water transforms the plasma finally into a viscous gel. The Plasma gel is then injected into and around the point of injury, jump-starting and significantly strengthening the rejuvenation process. Because your own blood is used, there is no risk of a transmissible infection and a low risk of allergic reaction. WHAT MAKES TORONTO BEAUTY CLINIC EXCEL WITH THE RESULTS? During our free consultation, the client is assessed for the skin condition and a customized treatment package is recommended. PRP(Platelet Rich Plasma) can be combined with Microneedling, Carboxytherapy, Mesotherapy and other procedures such as BOTOX® Cosmetic, and/or Dysport®, Dermal Fillers (Juvederm, Restylane, Revanesse), laser treatments, microdermabrasion and chemical peels (if required) to best target a client's unique issues and thus achieve the final goal of younger looking skin. Any changes in skin caused by aging. 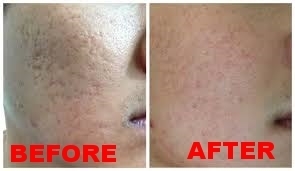 Flabbiness, dryness and skin turgor. Prevention of skin aging, after the age of 28. Are There Any Restrictions With PRP Treatment? Any sickness in its stages of exacerbations. During pregnancy and breast feeding. The procedure typically takes a couple of hours, including preparation and recovery time. Performed safely in a clinic environment, PRP therapy relieves pain without the risks of surgery and a prolonged recovery. In fact, most people return to their jobs or usual activities right after the procedure. How Often Should the Procedure be Done? It is dependent on your skin conditions and this can be assessed during your consultation. In general, up to three injections may be given within a six-month time frame before you start your maintenance phase. Because the goal of PRP therapy is to heal the tissues, it could prove to have lasting results. Initial improvement may be seen within a few weeks, gradually increasing as the healing/rejuvenation progresses.